Tangled and True: wishbone necklace. Two Sisters Jewelry is celebrating the 12 days of Christmas by offering one heavily discounted piece of jewelry per day. Today is the wishbone necklace. I am very tempted. Isn't is beautiful? 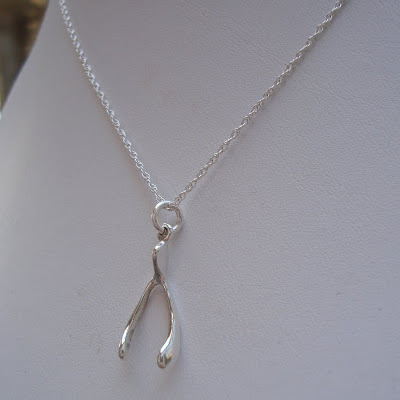 A wishbone of love..cool idea. new price.. same great tub.